“The two Koreas have cooperated together and the Olympics was held successfully,” the North’s KCNA news agency said, citing North Korea’s foreign ministry. 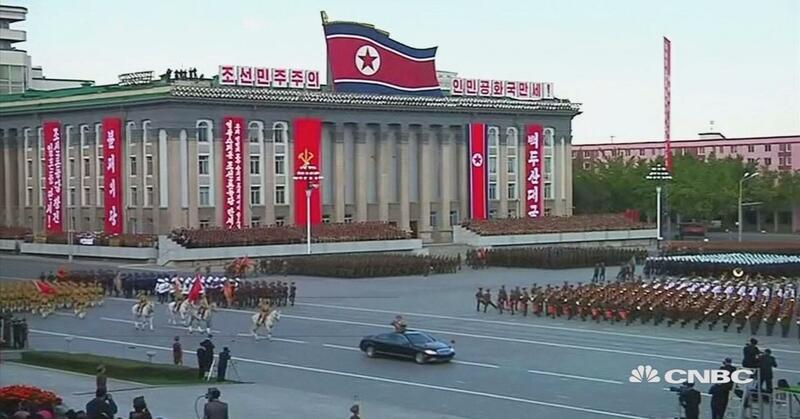 “But the U.S. brought the threat of war to the Korean peninsula with large-scale new sanctions on the DPRK ahead of the Olympics closing ceremony,” the state news agency said, using the initials of the North’s official name, the Democratic People’s Republic of Korea. The Winter Olympics in South Korea have given a boost to engagement between the two Koreas after more than a year of sharply rising tension over the North’s missile tests and its sixth and largest nuclear test in defiance of U.N. sanctions. Kim Yo Jong, the younger sister of North Korean leader Kim Jong Un, led a delegation that made a three-day visit to the opening of the Olympics and the North Korean leader later said he wanted to boost a “warm climate of reconciliation and dialogue”. But the North’s decision to send former military intelligence chief Kim Yong Chol as delegation leader to the closing ceremony has enraged families of 46 sailors killed in the torpedo attack on their ship and threatens the mood of rapprochement that Seoul wants to create at what it calls the “Peace Games”.